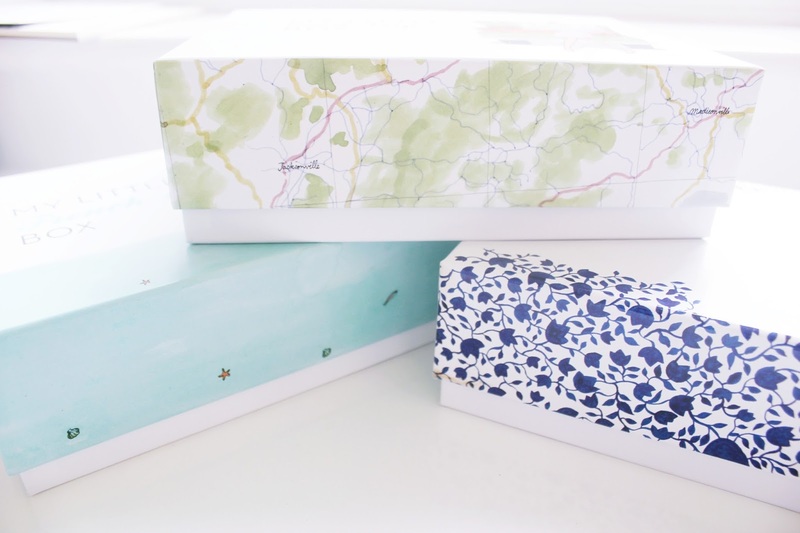 This is probably the most aesthetically pleasing subscription box on the market. Just look at how cute their own products are! Adorable. My Little Box is the first subscription box I bought. 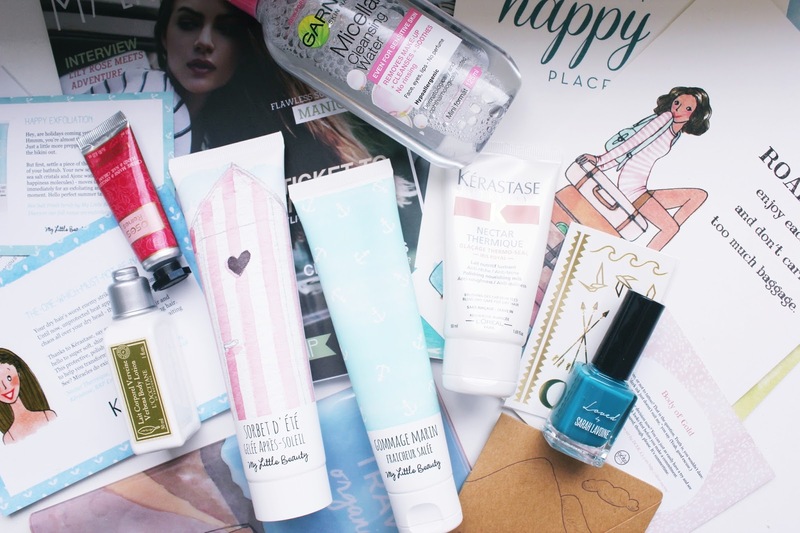 I didn’t go for Glossybox or Birchbox because although I love trying new products I wasn’t a fan of how everything looked. To me they didn’t seem as carefully put together, with a consistent theme. So despite the fact that the products they supply are good I wasn’t sold. I opted for MLB because it has a variety of beauty, travel and lifestyle which perfectly sums up my blog. So as you can see there’s a big range of things inside the MLB (I’ll explain the above pic later!) My first box was themed The Provence and the items were inspired by the location. The second was The Riviera and everything had a blue/nautical/holiday theme – my favourite gift inside that box was a pair of beautiful brown sunglasses. 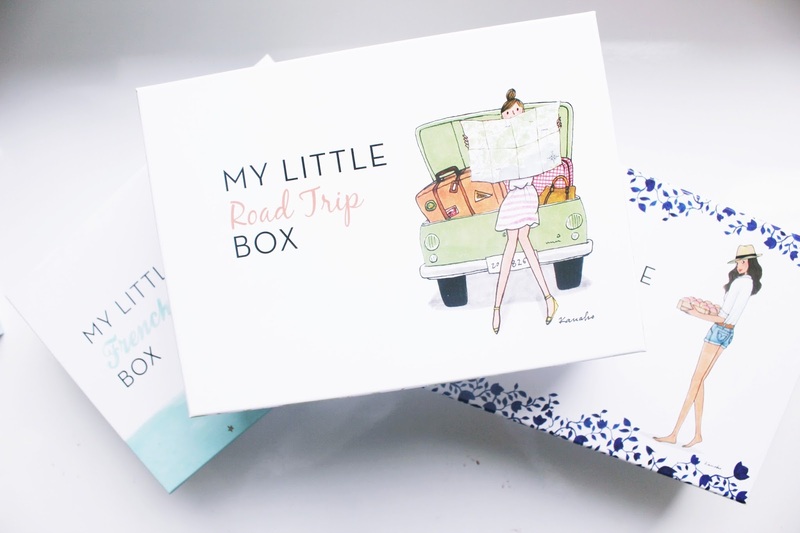 The third box which is my favourite is the My Little Road Trip Box. I’m exceptionally passionate about travelling so this is right up my street. In it was several beauty items such as a body lotion, micellar water for taking your make-up off super quick. There was also little bits like a special BIC pen for writing in the brown notepad which is meant to document a trip. I also love the travelling ouch where you can pop your passport, tickets, money, hotel confirmation etc. to keep everything organised! 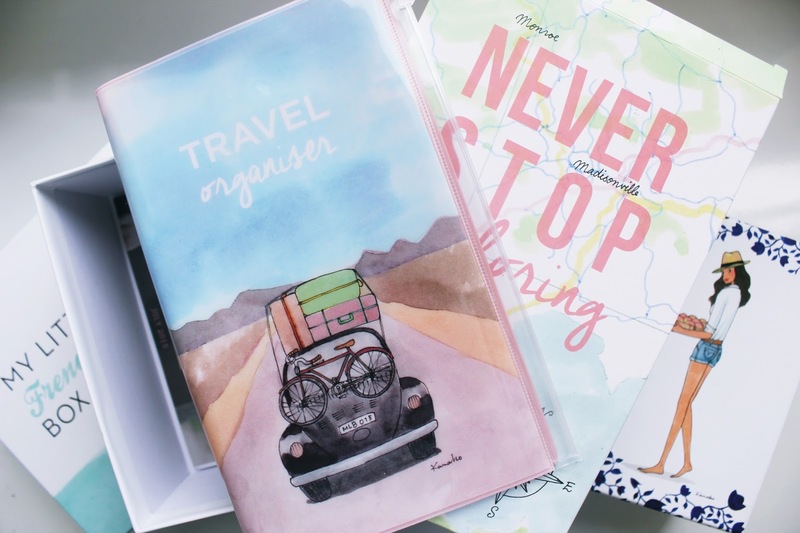 With my upcoming trips to Cancun, Mexico and my move to L.A I was so excited about this travelling box. MLB is a mix of items. As well as beauty it also contains a small magazine and occasionally a DIY piece. In the Riviera box was a gold cuff into which you can cross stitch patterns into. I’ve yet to do mine as I can’t find a needle big enough for the thread in my house but the demo in the magazine looks so beautiful. I love how there’s a mix of different things in the box. It keeps all of my interests satisfied. 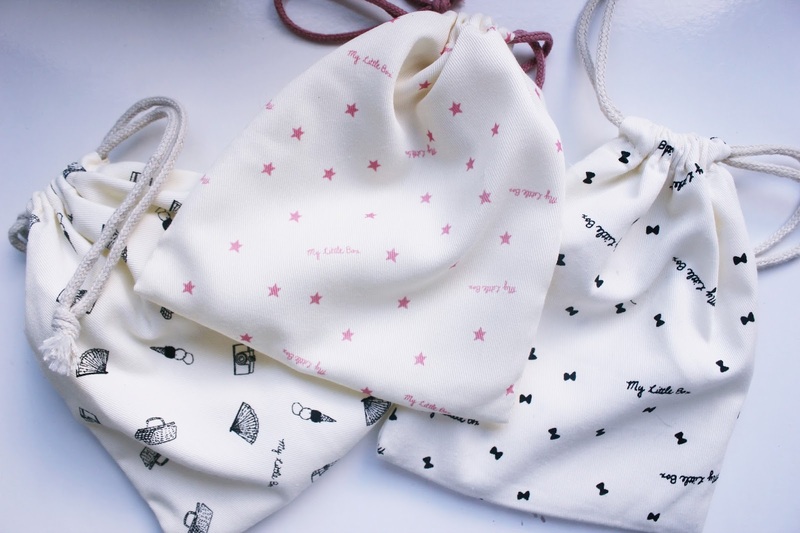 Each box contains a small drawstring wash bag as pictured above. These contain all of the beauty items that comes each week. Now I’m a sucker for collecting things like this but recently I’ve been throwing away old Chanel boxes etc that are lying around with no purpose. I didn’t want to throw these away as I know they’d be useful for something. 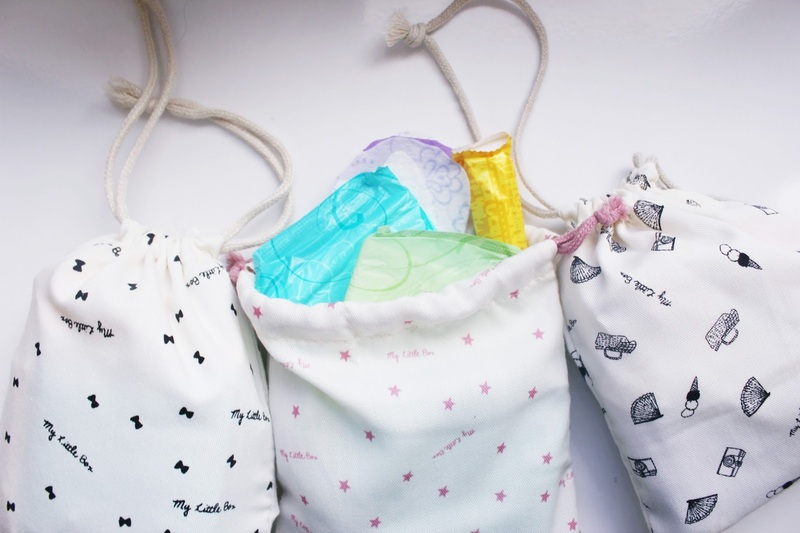 I decided to turn them into a feminine hygiene bag that I can grab whenever I spend a week or weekend away with friends or abroad. I can sometimes get caught out by mother nature and when I don’t have the essential pads and tampons life can get in the way. I think it’s a really good idea to have these bags pre made for every time I’m going away so I can grab one as I pack. What do you think of MLB? Are there any subscriptions I should try? This box looks so lovely! The Garnier micellar water is great I keep one in my gym wash bag and it's so handy- love it! I went with Glossybox but this looks like a great subscription and the actual boxes are gorgeous!